Romedy Now has recently partnered with SteppinOut Movie Nights to launch a special Romedy Now edition -- a concept that curates open air movie screenings to offer a mesmerising movie viewing experience. 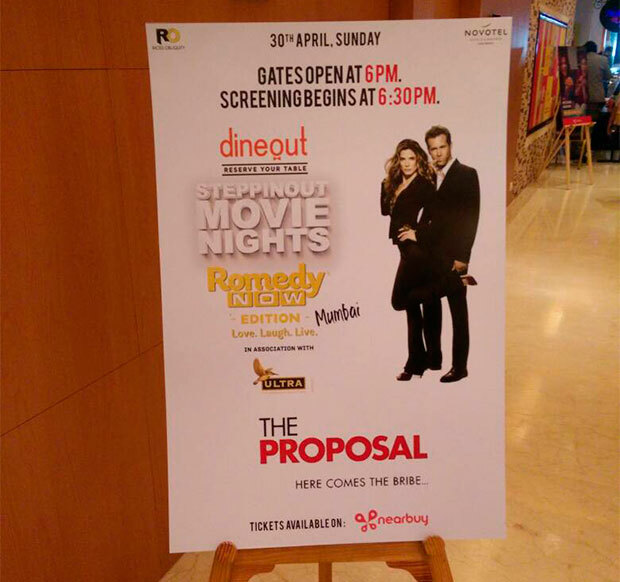 SteppinOut Movie Nights-Romedy Now edition’s first screening was hosted by the pool at Novotel, Mumbai, on April 30. 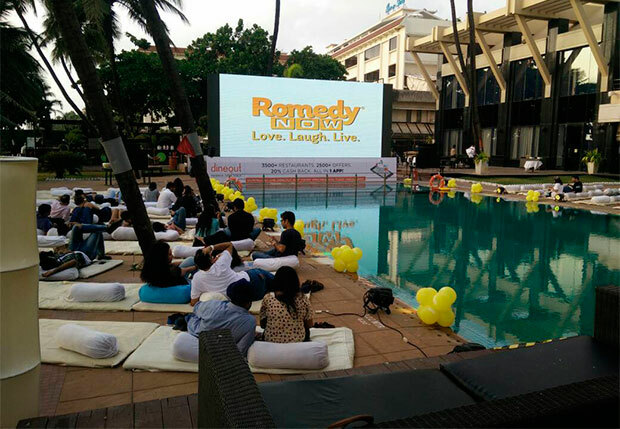 With Romedy themed décor, bean bag seating, popcorn tub and a complete bar, the experience was enhanced to the maximum at the pool side screening. An icing on the cake was when the channel gave its viewers a chance to recreate iconic movie posters featuring themselves, in a funky photo booth! An interesting part about this edition was that people were given a chance to vote for their favourite movie from a curated list of all-time hits like --When Harry met Sally, Pretty Woman, Crazy Stupid Love, 50 First Dates, The Notebook &The Proposal. For the social media fans, Romedy Now launched a campaign ‘Ideal Proposal – to propose and be proposed’. As a part of this campaign, the fans were asked to share their idea of a fairy tale proposal and the most quirky yet romantic ideas were given couple tickets for the amazing SteppinOut movie night.